A Special Ghost Dog. Caro, 13, and Fluffers. Dog Love. Dog Stories. A Special Ghost Dog. Why write dog stories about ghost dogs, about an invisible dog? Dog Love, Animal Love. Love of a Very Special Dog. 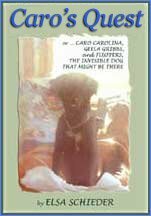 Caro's Quest: a Spirit Dog, Fluffers, and Caro, 13.
who died years ago? Dog love. Animal love. Love of a very special dog. CARO'S QUEST: a Spirit Dog, Fluffers, and Caro, 13. Are ghosts real? Is there proof of ghosts? I'm really asking: are those I've loved still near? CARO'S QUEST. Caro Carolina, 13. Geela Gribbs, who comes to Harbor Cove with her invisible dog. A hit and run driver, who leaves Jake to die. At the heart of it all is Fluffers. Where did CARO'S QUEST come from? I'll start with: a ghost dog is better than no dog. It's very shortly after my dog was hit by a car and died within a minute, that the words came to me, "Geela Gribbs was known as more than a little weird. She looked ordinary enough ... " She's not ordinary - she lives with an invisible dog, a ghost dog. And I longed for a ghost dog, the spirit of my dog to come back to me. I knew she couldn't come back, not her alive self, anyway. I knew nothing abut spirit animals. I hadn't even read about spirit animals, except some distant figures from myth - long ago Egyptian myths, far away West Coast Nootka myths. And then the story started in my head. CARO'S QUEST was born, as far as I can make out, out of longing. Maybe Fluffers was actually nearby, is actually still often nearby. I felt her for weeks after her death, when I was driving. After death, as in life, she loved to be on my lap - or so it felt to me. Maybe, most of the time, I'm just not very good at picking up on the spirit world. Maybe Fluffers, the dog who died hardly any time at all before I started writing CARO'S QUEST, is around. And maybe my father, who died just a month before Fluffers, is around too. Or maybe it's just a longing. I know there is much writing that came just after my father died as well. In his case, it's on home, what it means to be at home. Anyway, underlying it all, is love - dog love and love of my father - and the desire to feel that those I've loved are still nearby. To go to a love poem for Fluffers, click here. 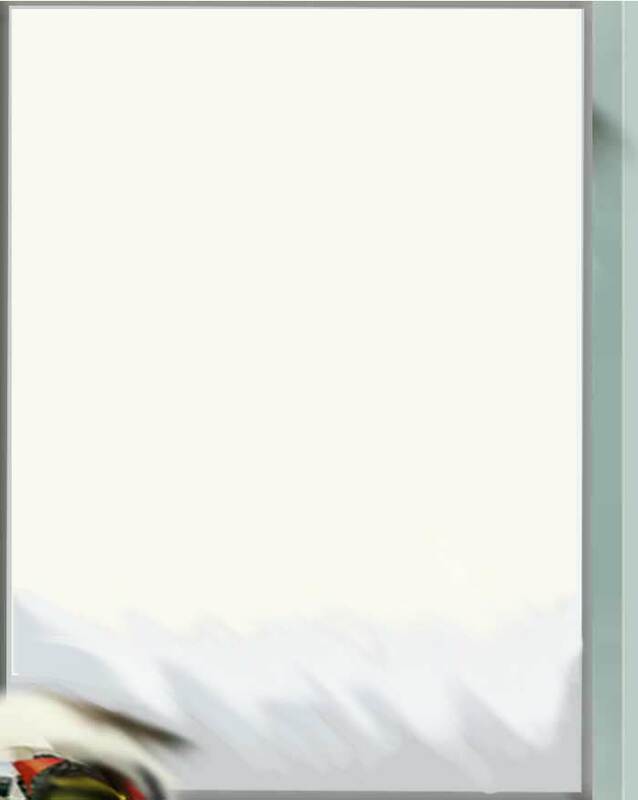 preteen girl and invisible dog, click here. 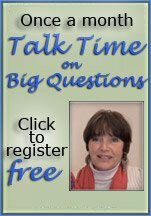 the fear that's long kept me from these questions, click here. A Special Ghost Dog. Why write dog stories about spirit dogs, about an invisible dog? Dog Love, Animal Love. Love of a Very Special Dog.